In July 2016, Lockheed Martin made improvements to the Quantum Computation Center housed at the USC Information Sciences Institute, increasing its qubit capacity to 1,098. It’s latest step in a process that’s been going on for six and a half years, as the international security and aerospace company attempts to carve out a space in the fast-moving field of quantum computing. In twenty years, this technology could have a huge impact on everything from academic research projects to online cybersecurity — but Lockheed Martin’s usage demonstrates that some of the benefits of quantum computing could be even closer to fruition, even if a fully functional quantum computer is a ways off. The first quantum system that Lockheed Martin bought from D-Wave was a 128-qubit processor codenamed “Rainier,” which otherwise went by the name D-Wave One. It was later upgraded to the 512-qubit “Vesuvius,” which was itself recently upgraded to the 1,152-qubit D-Wave 2X. Lockheed Martin’s usage of a quantum annealer is evidence of the enormous potential of quantum computing to transform numerous fields in the coming years. Before making a purchase, Lockheed Martin representatives visited D-Wave at its headquarters in Vancouver multiple times. The company determined that the hardware had “potential and promise,” and so the decision was made to purchase one of their systems. The next step was to forge a partnership with the University of Southern California, which resulted in the Quantum Computation Center, a facility that is part of the institution’s Viterbi School of Engineering. 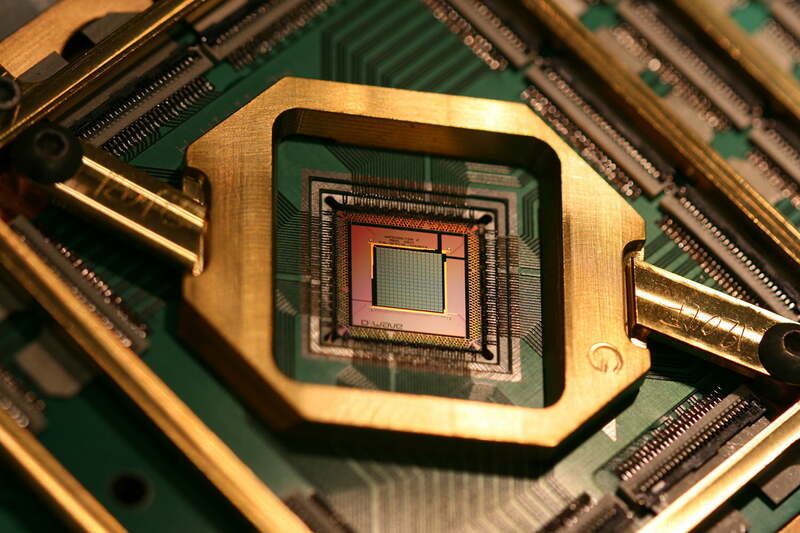 USC’s part of the bargain allows them to carry out research using the hardware, largely pertaining to the space that D-Wave’s system occupies compared to other quantum computers, and benchmarking the machine. Meanwhile, Lockheed Martin can take that information and investigate what applications would benefit its interests. Validation and verification was the inspiration for the program, but now it’s expanding into other areas. Machine learning is a top priority, but there’s also space for the system to be applied in the field of planning and scheduling — perhaps not the most glamorous use of cutting-edge technology, but certainly a productive application. The travelling salesman problem hinges around a list of cities that a hypothetical product-pusher has to visit, and the distances between them. The solution is the shortest possible route between these locations that visits every city only once before returning to the point of origin. It can be solved using today’s computers, of course, but quantum hardware could potentially offer drastic speed-ups, especially as the number of cities grows. Tallant and his team haven’t yet been able to demonstrate that their D-Wave hardware will be able to offer an advantage over classical computers in this application. However, progress is being made, and further advances are expected thanks to the powerful 1,152-qubit processor that the company purchased in July. In effect, it’s a similar situation to using your 32GB iPhone for the first time, and finding that you don’t actually have 32GB of storage to work with — although, obviously, what’s going on under the hood is a little different. “Our 1,152-qubit system that we have now came in at 1,098 when we calibrated it,” said Tallant. A host of other engineering improvements have been made to the system, but an upgrade to the hardware’s qubit count will hopefully offer tangible improvements in terms of the problems that the rig can handle. These figures might cause you to raise an eyebrow if you’ve been keeping up with the field of quantum computing. In May, IBM proudly announced that its five-qubit quantum computer was going to be made accessible to academics and enthusiasts via the web-based IBM Experience platform. Why would IBM be showing off its five-qubit system if D-Wave was already selling quantum computers that have access to a hundred times that amount? It’s simple — the hardware being used by Lockheed Martin is not really a quantum computer. The systems at the heart of the IBM and Lockheed Martin’s quantum program utilize superconducting qubits, a promising implementation that researchers hope will eventually spawn a large-scale universal quantum computer. But it’s not ready yet. IBM’s system doesn’t qualify as a large-scale universal quantum computer, because it only uses five qubits. In terms of its architecture and its approach, it’s a universal system, but the low qubit count means it can’t perform full quantum error correction. Meanwhile, the D-Wave system being used by Lockheed Martin also doesn’t qualify. It’s technically a quantum annealer, rather than a quantum computer. Put simply, it can only tackle a very limited set of problems. “The D-Wave system is not a general purpose computer. It solves a particular problem that’s referred to as the Ising Spin Glass,” explained Tallant. He refers to it as an “optimization solver,” which is used for problems where resources like time and fuel can be used most efficiently when a powerful computer studies a wide range of different possible configurations. D-Wave’s qubit counts are well ahead of the curve, compared to other outfits working towards a quantum computer. However, it’s difficult to make a direct comparison between the company’s hardware and researchers attempting to construct a universal system. That’s not to say that Lockheed Martin won’t move beyond an annealer once the technology has developed sufficiently. “We would love to have a universal system,” Tallant added. 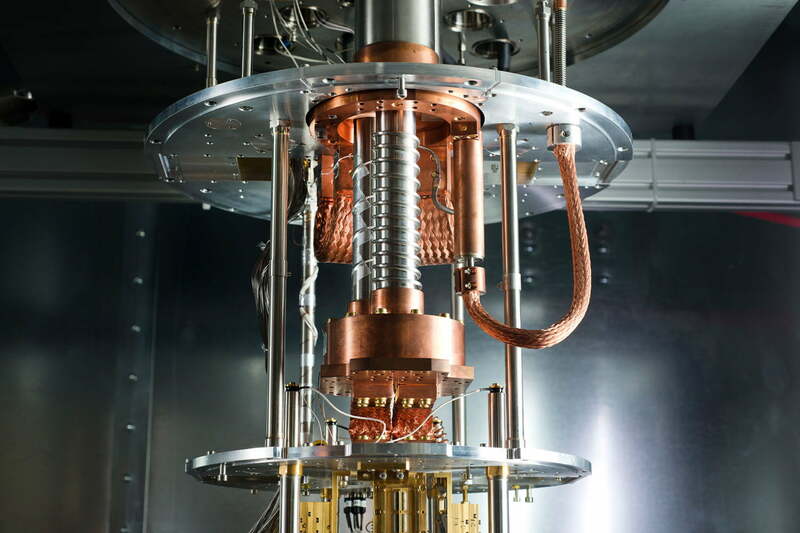 Lockheed Martin’s usage of a quantum annealer is evidence of the enormous potential of quantum computing to transform numerous fields in the coming years. A universal system is the endgoal for researchers working in the field, but even despite the compromises necessary to deliver results in the here and now, we’re seeing hardware with industrial applications. It’s easy to mythologize the quantum computer as a game-changing discovery that’s still years away. A universal system will indeed have a universal impact when it comes to pass — but by that time, quantum technology like D-Wave’s annealer will already be put to good use across a number of different fields. Updated on 08-26-2016 by Brad Jones: Clarified comments on IBM’s universal quantum computer.